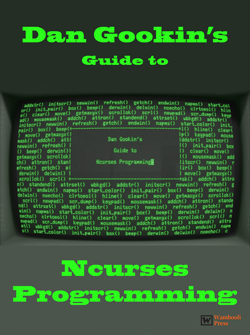 This page supports the C programming books written by Dan Gookin and published by John Wiley. April 20, 2019 Another way to look at the strchr() function. 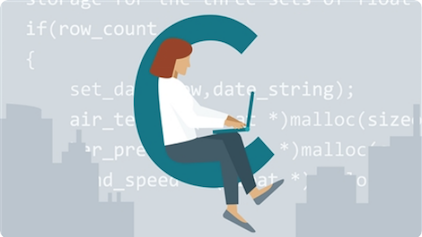 April 13, 2019 Macros can be used to effectively streamline your code and make it more readable. April 6, 2019 Often it's easy to express a single-line function as a macro. March 30, 2019 Take a peek at some of the locale options on your computer. March 23, 2019 The locale settings can help your code run in more locations than your hometown. April 1, 2019 Some numbers are more interesting than others. 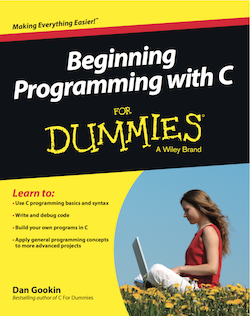 For support on my older C titles, including the C All-In-One reference and C For Dummies, click the links on the left side of the page. Online training is provided through Linkedin Learning, a subscription service. Click the links to see a preview of my courses and learn how to sign up. "For Dummies" is a trademark or registered trademark of John Wiley.